The annual Chinese New Year Gala hosted by China Central Television (CCTV), abbreviated in Chinese as Chunwan, shown on the eve of Chinese Lunar New Year has become a ritual of Chinese people including overseas Chinese when celebrate the festival since 1983, when it was first televised live at home and abroad. The gala usually starts at 8 PM (GMT 8, Beijing Time). on New Year’s Eve and lasts about four hours Making it one of the premier television events of China, CCTV Chinese New Year Gala is the large-scale integrated party owning a largest audience. The Gala is in a variety of forms, often featuring musical, dance, comedy, and drama performances. 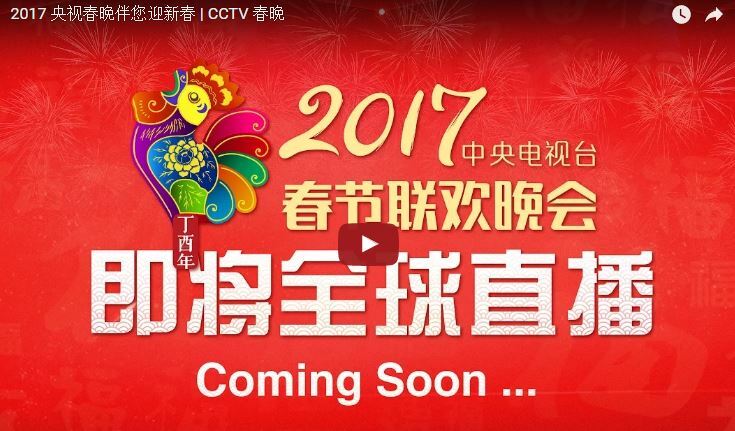 CCTV strives for the new high each year to cater to all audience’s tastes.